raw banana fry recipe | vazhakkai fry | balekai fry | aratikaya fry with detailed photo and video recipe. 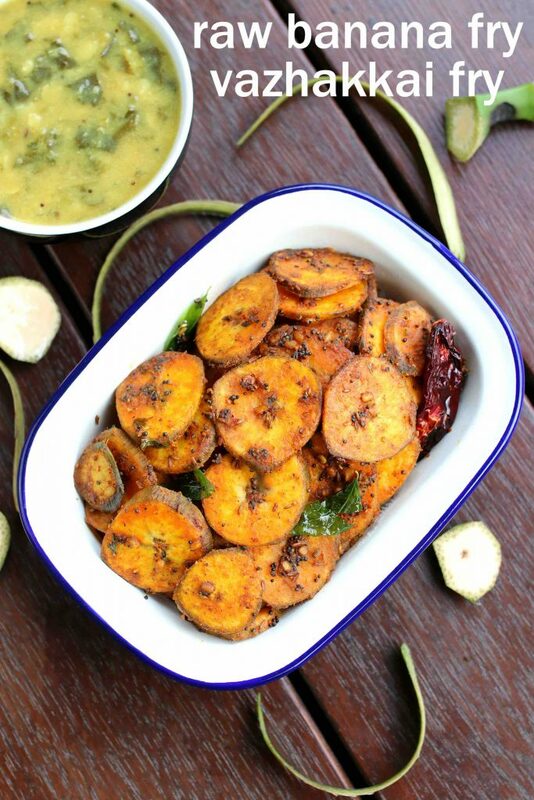 a perfect and spicy side dish for rice, made with raw plantains and other spices. it is a popular south indian stir-fry recipe, and perhaps one of the underrated dry curry recipe prepared on a day to day basis. the recipe is easy and simple to prepare with less than 15 minutes. raw banana fry recipe | vazhakkai fry | balekai fry | aratikaya fry with step by step photo and video recipe. south indian cuisine is generally famous for its breakfast recipes and dessert recipes. 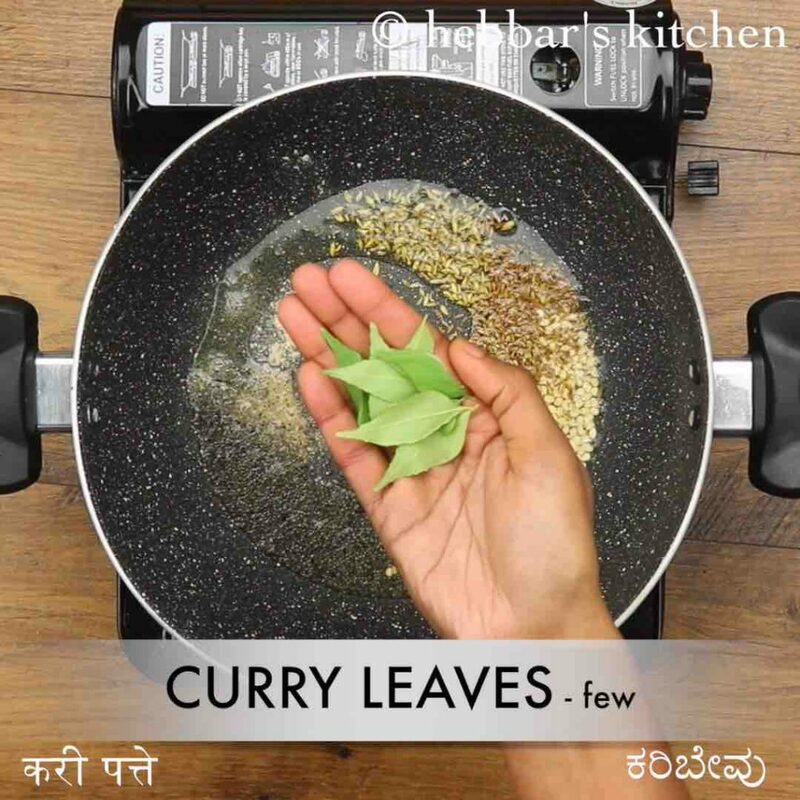 however, there are myriad variations of curry recipes prepared with natively grown vegetables which act a side to rice or as palya to chapati. 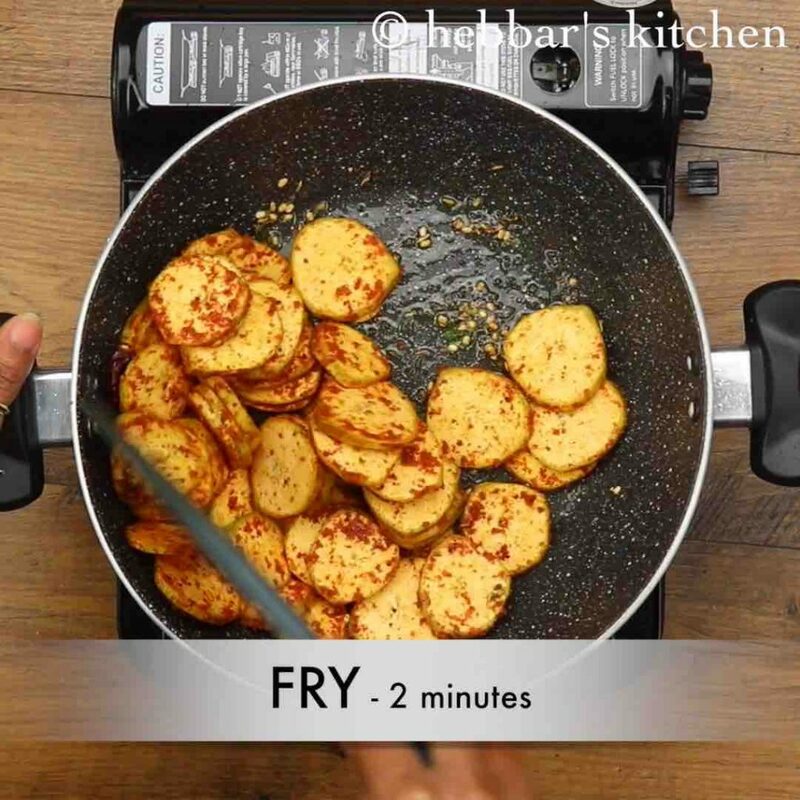 raw banana fry recipe is one such simple dish prepared within minutes for lunch and dinner. 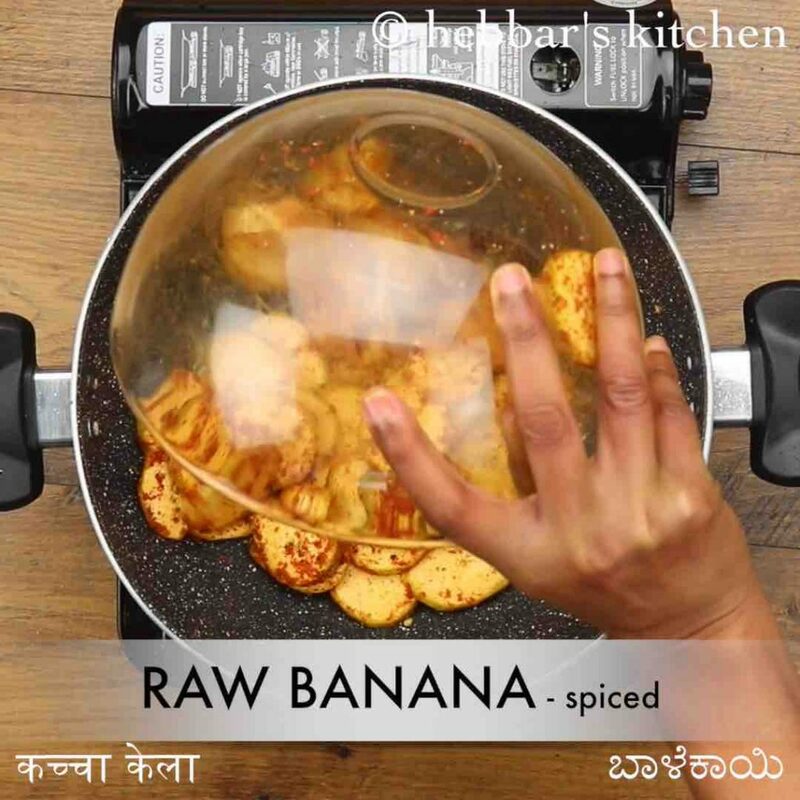 as a matter of fact, there are several variations and ways the curry can be prepared from the raw banana. but in this recipe post, i have shown a simple and easy, yet tasty raw banana fry recipe. in reality, each state within south india has its own variation which typically differs with the spices and the way raw banana is used in the fry. 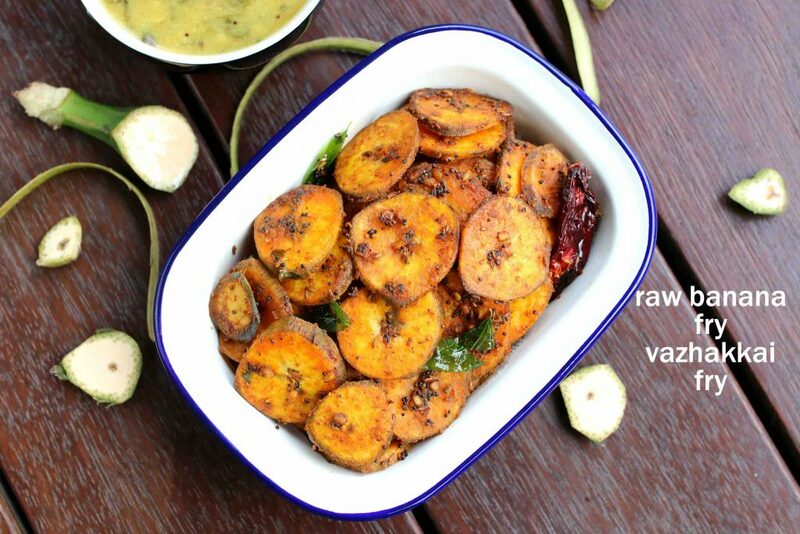 moreover, there are many gravy based variation, contrary to the popular dry vazhakkai fry. having said that, in this recipe, i have posted a dry variation and i would term as an amalgamation of all south indian states. further, this recipe is an ideal side dish for rasam rice or dal rice, rather than curry for roti or chapati. 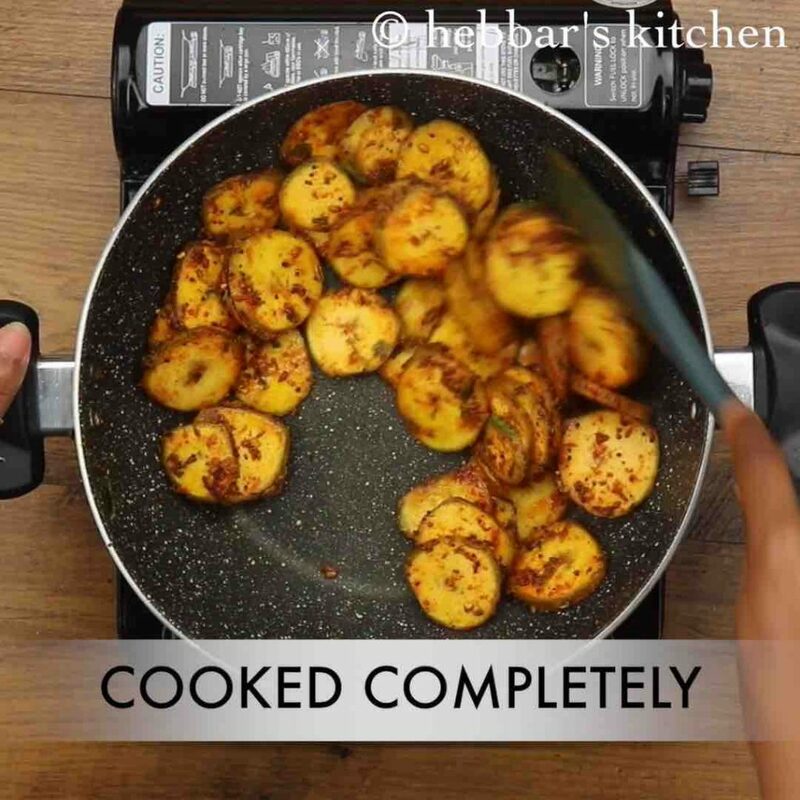 the raw banana fry recipe is simple and easy to prepare, yet some tips and suggestions while frying it. firstly, the raw banana can be sliced into any shapes as desired. 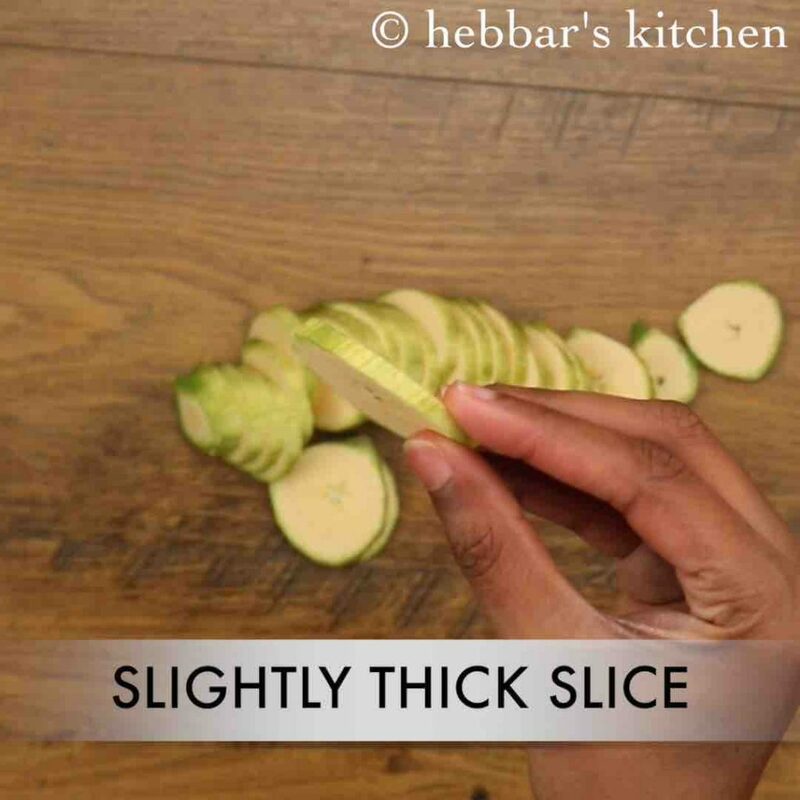 in this recipe i have sliced it to cylindrical shape but can also be shaped to cubes or slices as per your preference. also make to slice them thin so that they can get cooked easily and quickly. 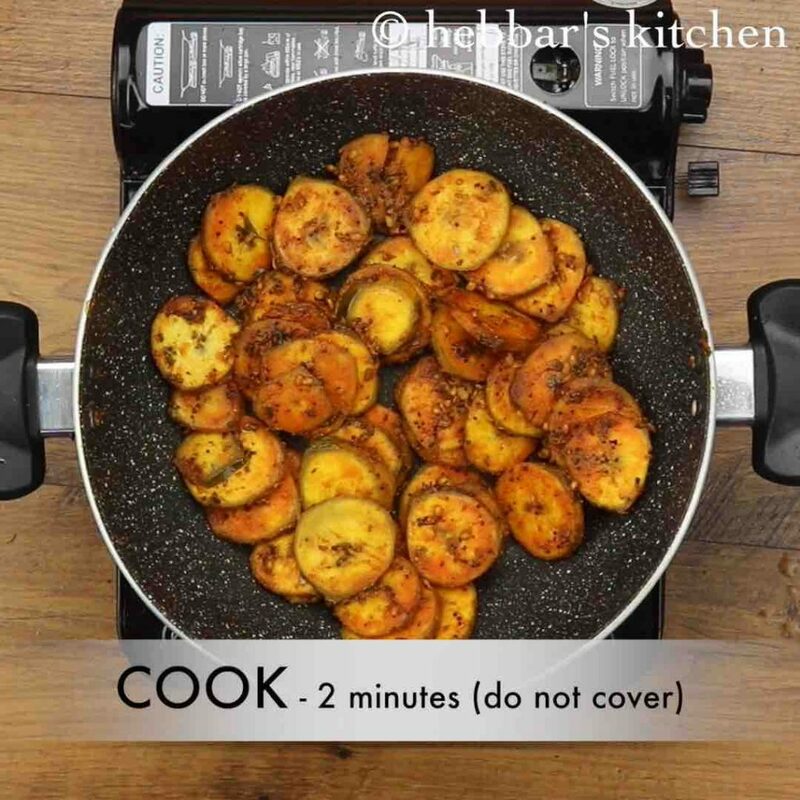 secondly, the recipe is only prepared with raw plantains which are dark green in colour. hence refrain from using the plantains which are light green or light yellow in colour. lastly, i have used sambar powder, however, it can be replaced with chilli powder or rasam powder as an alternative. slice the raw banana to slight thick size. you can alternatively cut in cubes. 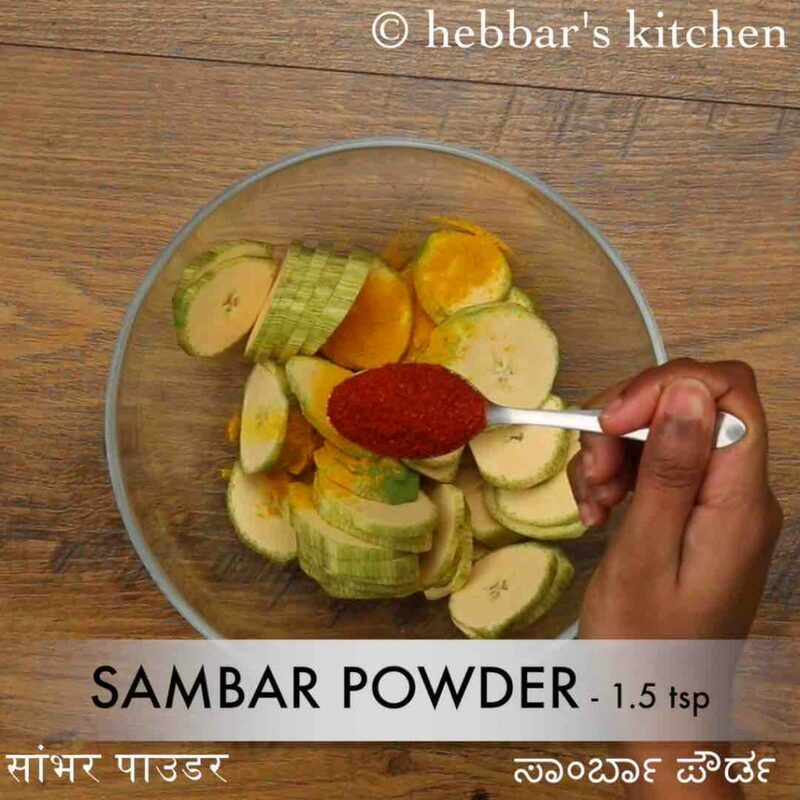 add ¼ tsp turmeric, 1½ tsp sambar powder, ¼ tsp pepper and ½ tsp salt. coat the spices well to raw banana. keep aside. now in a large kadai heat 2 tbsp oil and splutter 1 tsp mustard, ½ tsp urad dal, ½ tsp cumin, ½ tsp fennel, 1 dried red chilli, pinch hing and few curry leaves. 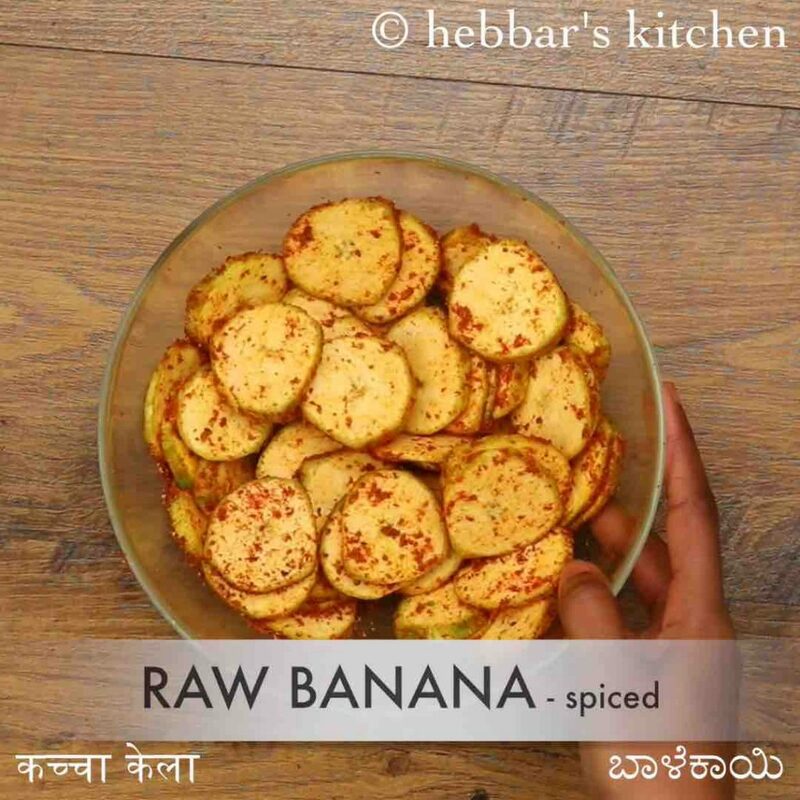 further, add spiced raw banana slices. stir-fry for 2 minutes till raw banana gets coated well with oil. 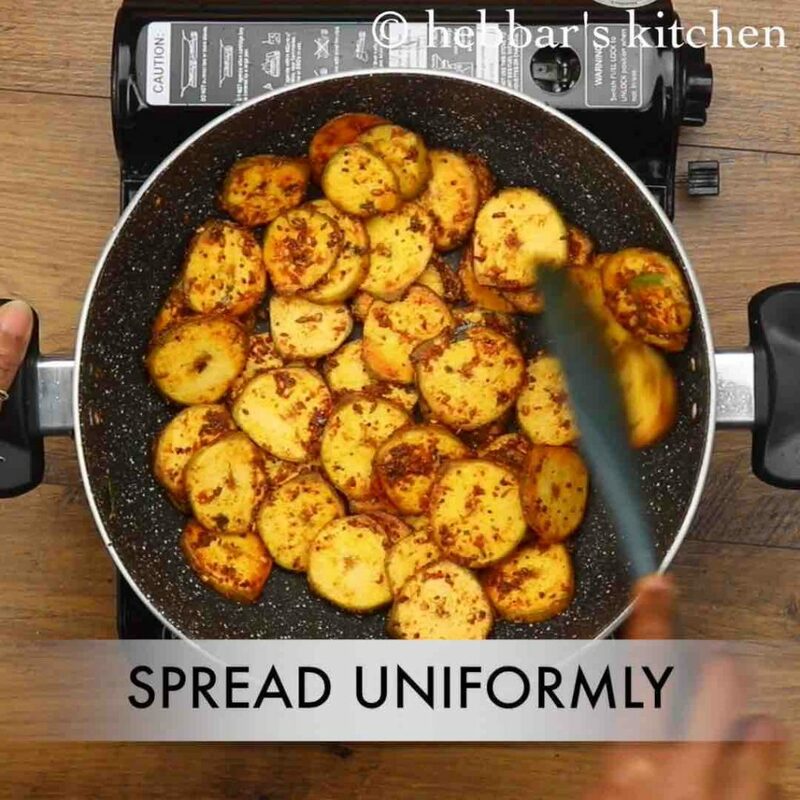 spread the raw banana uniformly over kadai. now sprinkle 2 tbsp oil. cover and cook on medium flame for 10 minutes. stir occasionally to prevent raw banana from burning. 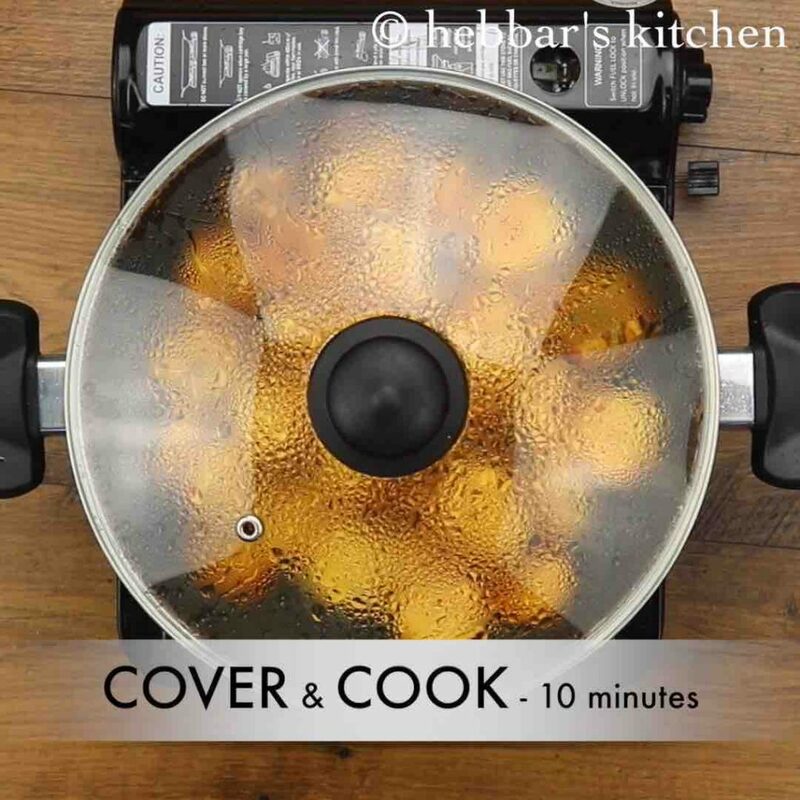 now spread the raw banana again and cook for 2 minutes, without covering to make raw banana fry crisp. 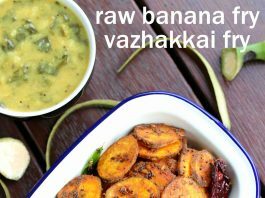 finally, serve raw banana fry / vazhakkai fry with hot steamed rice as a side dish with rasam. 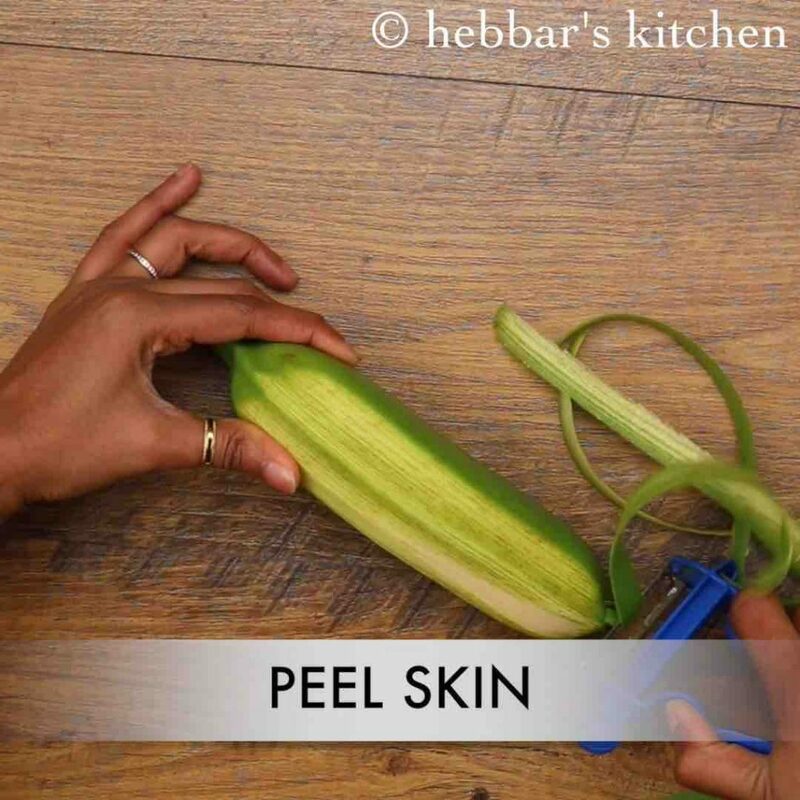 firstly, peel the skin of 2 raw banana (approx. 400 grams). firstly, use raw banana, make sure they have not turned yellow. also, soak raw banana in water if you are cooking after some time to prevent discolouring. additionally, use chilli powder instead of sambar powder. 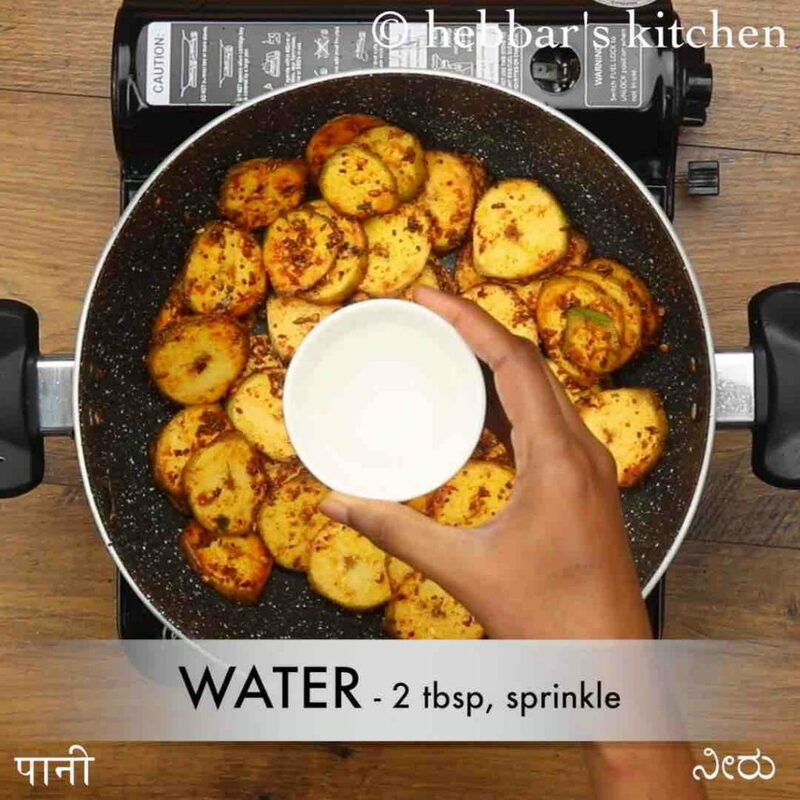 finally, raw banana fry / vazhakkai fry can also be prepared on tawa or oven.